Additional Description: B621BA-10FT Hard air foot pedal turns equipment on and off, creating a hands free operation. 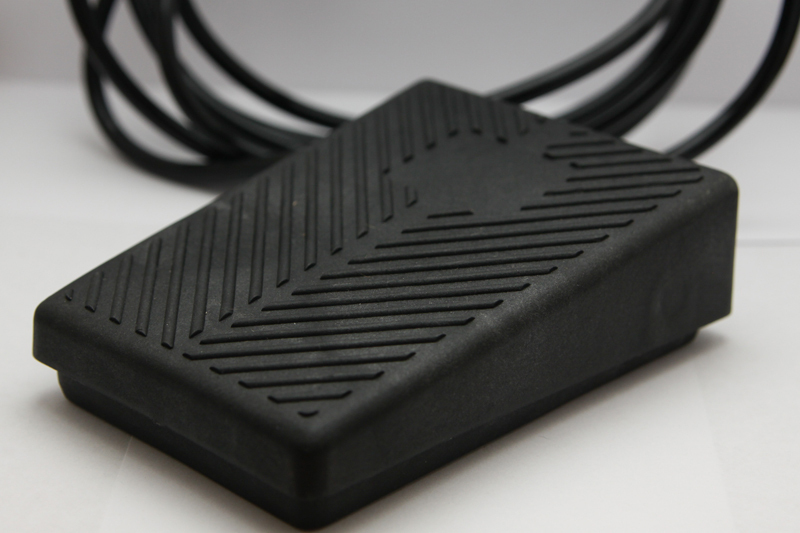 Waterproof, Explosion Proof, and Shockproof foot pedal. Custom logo options available. Made in USA. 10 feet tubing. Other lengths available, contact factory. Pneumatic/Electric foot pedals contain an internal bellow which, when pressed, sends a pulse of air through a tube to our air switch which may be momentary action, alternate action or sequencing. The pneumatic air foot pedals are shockproof, explosion proof, and waterproof. Standard length of air tubing is 10 feet, with other lengths available. Custom designs are also available. Consult factory.